A colourful twist on Genovese, this variety grows and tastes like our regular green basil - and makes a great purple pesto. Start indoors in late March or early April. Sow 6 mm (1/4 in) deep in plug trays - a heat mat will speed germination. Transplant out after risk of frost, usually mid to late June. Full sun, space rows 45 cm (18 in) apart, grows to 60 cm (2 ft). Prune the flowering tops as they appear, which encourages branching and leaf production. 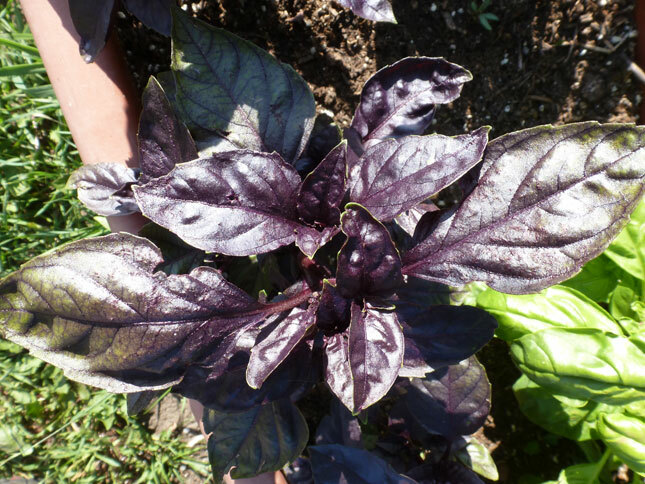 Not frost hardy, but can be potted up and brought inside in the fall to extend the basil season.